Entrepreneurship. It’s the new American dream. It’s the alternative to climbing the “corporate ladder.” It’s about creating your own “corporate ladder” and helping others along the way. You’re now in the thick of this new venture. Your idea is working and your audience has taken hold of your product or service. You’ve been in business for a year and have made some revenue. But you’re ready to take it to the next level. How, you ask? Financing your business can help do just that. But how does a business owner go about choosing the right option? There are a wealth of options out there for newer businesses. Some may ask wealthy family members and friends and others may go the more traditional route by talking to a bank. Ruben Creus, Managing Partner of Binnacle Consulting Group, tells us how he approached a traditional bank and the outcome. As a young management-consulting firm that has seen success and has had contracts in the pipeline, he explains that it was very difficult dealing with a large financial institution. They wanted to see an older business that has made large amounts of money already. “Traditional banks want to see traditional brick-and-mortar businesses,” Creus said. Creus isn’t alone. According to Nav’s “American Dream Gap” report, 45 percent of small business owners who are denied financing get turned down more than once and 23 percent don’t know why. So where do small business owners like Ruben Creus turn to? Alternative lending options such as marketplace lending or as some call it, peer-to-peer lending, exist with the development of technology. The financial technology (fintech) industry has developed extensively since banks made it harder for small businesses to get approved for loans in 2008. Creus compares the financial industry to the business world. As a business consultant, he advises his clients to innovate with the changing times. As businesses do this, banks should, too. However, it’s more difficult for large banks to lend smaller amounts of money. That’s when Creus went back to the drawing board and found an online lender, StreetShares. After comparing several other online lenders, he had the easiest, most personable experience with StreetShares. 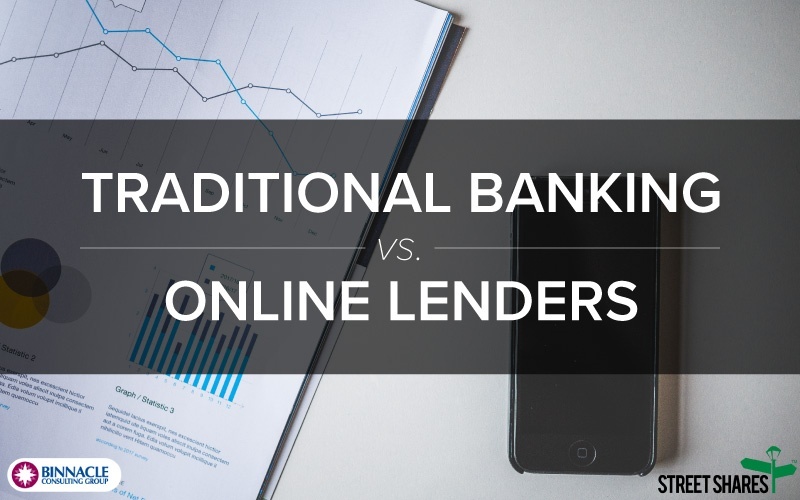 Here are a few reasons why Creus chose an online lender rather than a traditional bank. Large financial institutions scrutinize every detail of your business as they should. But when visiting a bank, it seems the staff try so hard to make you feel welcomed. When talking to an online lender like StreetShares, even if it’s just on the phone, you feel like they actually care about your business, Creus explains. Everything is online. With online lenders, you don’t need to fill out a ton of paperwork. You just upload everything and click a few buttons and you’re finished in a few minutes. You’re also able to get an answer whether you’re approved for a loan much quicker than a traditional bank. Online lenders make it very convenient for the borrower. With everything online and just a phone call away, small businesses can get answers fast. Many online lenders like StreetShares are peer-to-peer lenders as well. 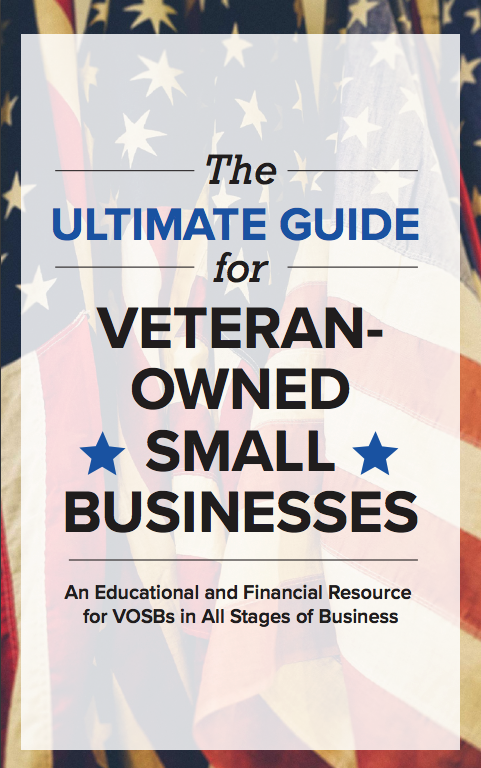 This means that affinity groups like veteran investors lend money to veteran borrowers. These affinity groups create lower rates for borrowers and higher returns for investors. Small businesses need options, especially when they’re ready to grow. Obtaining financing, whether it’s a line of credit or term loan, online lenders are the answer for smaller business loans. As Creus explains, he’s busy running his business and doesn’t have much time to think too much about financing. This is why it’s easy, fast and affordable with online/peer-to-peer lenders like StreetShares. Subscribe to our blog for more success stories like Ruben Creus. Financing your business can be a daunting task, especially when working with traditional banks. Learn how to understand what banks and other lenders ask for and about the basics of financing in this ebook.